Tracy Anderson live on your iPhone. Wait, didn't Beyoncé just do something similar? Believe it or not, working out doesn't have to cost a fortune. Here's a look at some surprising things we learned from our January guest editor. 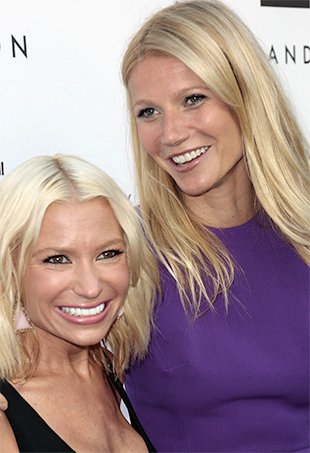 Gwyneth Paltrow and Tracy Anderson Have a New Show and We Have the Trailer — AMAZING! Nothing says, "Hello, it's Tuesday!" quite like a press release delivered on a Tuesday. We stopped by the Upper West Side Phat Buddha headquarters to find out more about the fast-growing, high-end fitness brand. In honor of the new gym-based blow dry bar, we chatted with David to get his best tress tips for your workout and beyond. A firsthand workout with the celebrity trainer who likens working out to shaving: it needs to be done every day. Is Gwyneth Paltrow's workout routine for you? We review the book Tracy Anderson's 30-Day Method: The Weight-Loss Kick-Start that Makes Perfection Possible.